Scholl Fire & Fuels Management considers safety our top priority. We feel that Safety begins with aggressive Training. 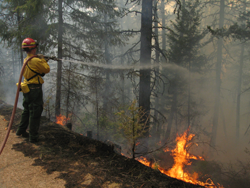 We offer certified training in Wildland Fire Suppression. All training offered meets or exceeds NWCG 310-1 standards. Our training officer has a background as a professional educator. He has certifications to instruct wildland and structural fire courses, with over 10 years experience instructing wildland fire curriculum and over 15 years instructing structural fire curriculum. 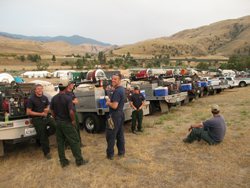 He has over 12 years experience fighting wildland fires, 16 years experience fighting structural fires, is an adjunct instructor for Treasure Valley Community College, and is currently carded by the state of Washington Department of Natural Resources as a Division/Group Supervisor. We annually train and refresh each employee. Our annual training covers hands-on and proficiency drills. 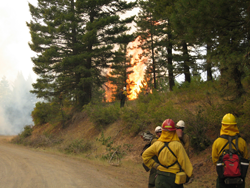 At a minimum we include, review of the Eighteen Watch-Out Situations, the Ten Standard Firefighting Orders, LCES, the Risk Management Process, proper use and limitations of personal protective equipment used by the employee, proper use and limitations of fire shelters, driving training and safety, radio communications, proper weather observations, and review of additional hazards and proper working procedures on the fire line. We strongly encourage physical fitness programs for each employee. Each employee must be trained to at least the FFT-2 level, which includes, S-130/190, I-100, and L-180 level. Each employee must successfully pass the pack test for arduous activity. 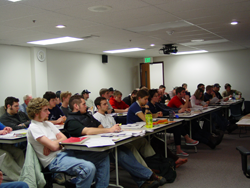 Training courses are arranged through Scholl Fire & Fuel Management, Treasure Valley Community College, or other regionally approved courses. Classes not offered in-house may be obtained from Treasure Valley Community College, or other MOU organizations.